(CBP Handout via Reuters) Packets of fentanyl and methamphetamine, which U.S. Customs and Border Protection say they seized from a truck crossing into Arizona from Mexico, is on display during a news conference at the Port of Nogales, Ariz., Jan. 31, 2019. 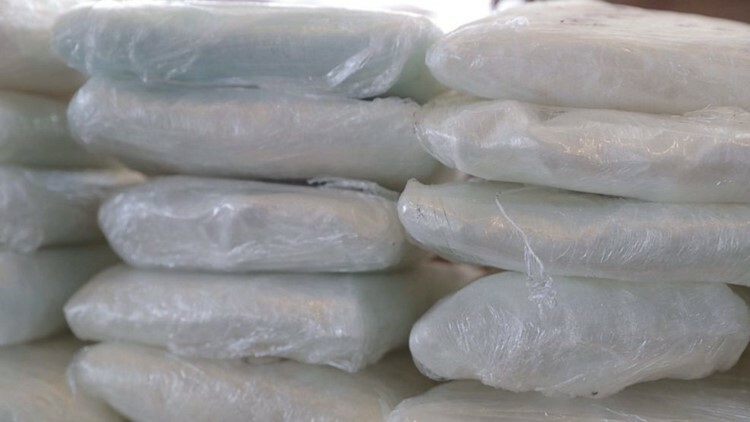 (ABC NEWS) -- Customs and Border Protection (CBP) announced Thursday that they made the largest fentanyl bust in U.S. history over the weekend, seizing hundreds of pounds of the drug along the U.S.-Mexico border. Border protection officers found the drugs in a special compartment of a trailer, which was "laden" with cucumbers, according to the agency. 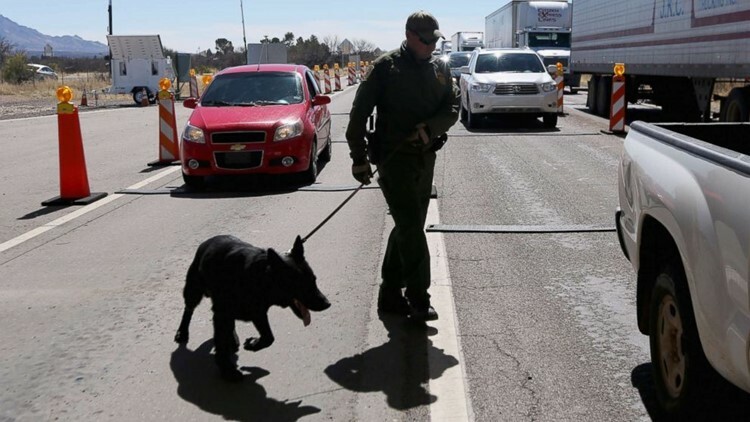 (John Moore/Getty Images, FILE) A U.S. Border Patrol agent and drug sniffing German Shepherd prepare to search vehicles for drugs at a checkpoint near the U.S. Mexico border on Feb. 26, 2013 north of Nogales, Ariz.
"Our great U.S. Border Patrol Agents made the biggest Fentanyl bust in our Country’s history," he wrote. "Thanks, as always, for a job well done!" Fentanyl, which can be lethal, has been at the center of America's opioid crisis.